MDPR Insider: Superfoods that make you glow! Why fuss with expensive juice cleanses, exfoliating scrubs or complicated fad diets for that sought after sun-kissed glow? All you need is to stock up on a few superfoods from your local farmer’s market to achieve a fresh, healthy look. While many popular diets focus on one nutrient, such as protein, gluten or dairy, they also deprive your body of other crucial nutrients it needs to thrive. Especially during summer when you spend a lot of time outside in the draining sun and heat, it’s important to fill your body with nutrient-rich foods. That’s where superfoods come in. Because they are loaded with antioxidants, vitamins, minerals and polyphenols, they can boost your immune system, lower inflammation, increase serotonin and enhance sexuality in addition to preventing chronic disease and prolonging life. After conducting some research, here are the top 10 superfoods that the we found to help aid in achieving that striking summer glow. Add half a cup of blueberries to your yogurt or cereal for breakfast every morning to help protect yourself against pre-mature aging. These berries are packed with potassium and vitamin C, which will also help boost your immune system. Try this Mixed Berry Salad with Mint for a refreshing dessert. Despite our childhood fears of this leafy, green vegetable, it’s the key to sparkling eyes. Trade in your traditional iceberg lettuce for this powerhouse full of vitamins B, C and E as well as potassium, calcium, iron, magnesium and omega-3 fatty acids. Serve this Spinach and Strawberry Salad instead of traditional romaine lettuce at your next dinner party. In addition to its reputation as an aphrodisiac, oysters are loaded with zinc, which helps with skin cell renewal and maintaining healthy hair, nails and eyes. Serve Oysters Rockefeller for a classic take on this misunderstood superfood. Here is another anti-aging superfood that will keep you looking fresh. Tomatoes are the best source of lycopene, an antioxidant that gives them their red color and is thought to prevent against some cancers. Make this recipe for a Tomato Stack Salad with Corn and Avocado as a healthy lunch alternative. For those of you always looking for an excuse to sneak in a chocolate snack, this is the superfood for you. Dark chocolate will keep your skin hydrated and protect it from sun damage while satisfying your three o’clock sweet craving. But before you rush down to the vending machine, it’s important to know that chocolate above 60 percent cacao is the best. It’s best to eat dark chocolate raw so you don’t cook off the powerful nutrients. Mix yogurt with fresh fruit and granola for a healthy snack or even dessert. This calcium rich superfood will help maintain upright posture, strong nails and teeth. Here are some ideas to help you incorporate yogurt into your diet. Smooth skin, shiny hair, bright eyes and strong bones are only some of the benefits you will receive from eating a handful of walnuts. Eat them a la carte or in a salad for a huge helping of omega-3 fatty acids and vitamin E.
Walnuts can be used as substitutes in many recipes. Here are some recipes you may want to try. Whether it’s in the form of fries or pie, or served mashed or baked, this superfood is full of beta-carotene, an antioxidant that helps prevent aging as well as improve vision, immunity and overall health. Check out this recipe for Tangy Sweet Potatoes for your next holiday dinner. Large amounts of vitamin C and antioxidants will keep your skin glowing and firm. Kiwis will help prevent wrinkles and are great for strong bones and teeth. They also help prevent cancer and heart disease. Make Fruit Salsa with Cinnamon Tortilla Chips at your next barbeque. Omega-3 fatty acids found in wild, not farm-raised salmon will help keep your skin feeling supple and moisturized. Selenium, a nutrient that will protect your skin against the sun, and vitamin D, a nutrient that will help keep your bones strong, are also found in salmon. Experiment with these recipes the next time you decide to enjoy salmon. Making any recipes? Eating any superfoods? 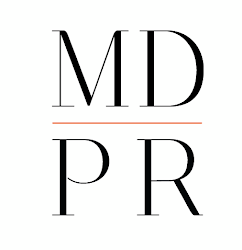 Be sure to share pics with us on Instagram and Twitter at @monikadixonpr using #MDPRInsider!